Pesticides occupy a critical position among many chemicals to which man can be exposed; their diffusion into the environment causes killing and damaging of some forms of life. The lack of highly selective pesticide action represents risk both for man and other desirable forms of life present in the environment. 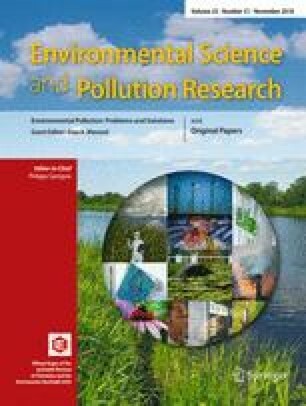 The present study was designed to evaluate the relation between exposure to pesticides and disorder on hematological parameters and kidney function of male agricultural workers with the mean age 37.11 ± 9.3. Another 100 unexposed men matched for age, and socioeconomic status were recruited as a control to compare the levels of hemoglobin, hematocrit, red blood cells (RBCs), mean corpuscular volume (MCV), mean corpuscular hemoglobin (MCH), mean corpuscular hemoglobin concentration (MCHC), and urea and creatinine concentration. The results indicate that there was no significant difference in hemoglobin concentration and hematocrit value among exposed group as compared to control group. However, there was a significant decrease (P < 0.05) in the RBCs count and a highly significant increase (P < 0.01) in MCV among exposed group. There was no significant difference in MCH and MCHC among exposed group. There was a significant increase (P < 0.05) in urea (39.4 ± 22 mg/dl) among exposed group as compared to control (35.7 ± 26.3 mg/dl). Also, there was a highly significant increase (P < 0.01) in creatinine among exposed group (0.953 ± 0.3 mg/dl) as compared to control (0.8 ± 0.2 mg/dl). In conclusion, exposure to pesticides produces a variety of hematological parameter disorders as well as kidney malfunction in human.